Slice avocado and prepare two smoked salmon slices. Poach two eggs in boiling water for 3-4 minutes water and toast bread. Place sliced avocado and smoked salmon on toast, and add a squeeze of lemon juice. 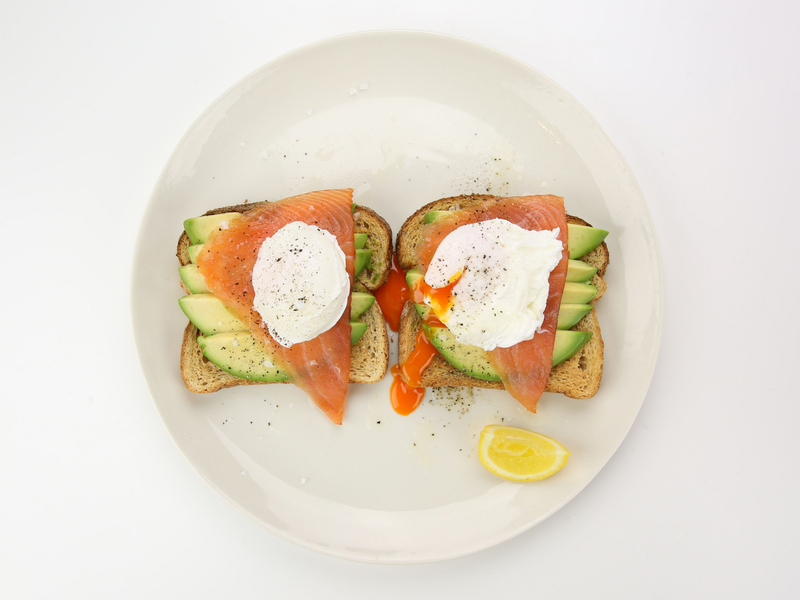 Place your poached eggs on top on your smoked salmon, season with some sea salt and cracked pepper and enjoy!